Ignas Krunglevičius is a composer and visual artist who lives in Oslo. His creative style as a composer is unique because of its attention to narrative, based on a contemporary understanding of the stage, the conceptual functionality of musical composition, the symbolism of images used, as well as a musically and visually constructed dramatic polylogue. His compositions are distinguished by emphatically reduced forms of musical expression. A distinctive and suggestive rhythm, a thematic and illustrative dynamic, as well as an atmosphere of tension transform his stage compositions into real sessions of psychological dilemmas (for example, the works Gradients and Skinner Box). His active career as a composer in the world of new music is accompanied by his constant involvement in contemporary arts projects and participation in exhibitions in which the artist presents installations integrating a variety of media and video art works. In his newest ones (for example, Private Syntax Virus) the artist is developing the aesthetics of synthesis and syncretism. One of the most important means of sonic expression here is a collage of digital music and virtual voice plasticism. Ignas Krunglevičius (b. 1979 in Kaunas) is a composer and visual artist. In terms of thematic material what interests the artist is the dialectics of normality and anomaly, independence and dependence, acceptable behaviour and transgression, power and subordination, self-identification and rejection, impulsive behaviour and ethical evaluation, punishment and crime, interrogation and persuasion. However, what makes the artist’s creative style stand out is the presentation of these dialectal subtleties through the sophisticated mechanics constructed through compositional and thematic means and characterised by a manipulative, directional, serial and suggestive logic. One of the main dramatic elements in these works is the lines of text displayed in sync with a sharp musical rhythm. In his new installations and video works the artist is developing the aesthetics of synthesis and syncretism, contrasting the enchantments of virtual futuristic romanticism and the masks of simulation supporting it; he delves into the invisible infrastructure of the microworld, invisible but having an effect on us, as well as into its metaphysics and pragmatism. These works are accompanied by a synthetic digital music, conveying the atmosphere of these quasi-realities. The narrative here is created by the voice and its simulations, changing the graphic font dominant in the earlier installations. Ignas Krunglevičius began to take an interest in composition quite some time before his academic studies. In Vilnius he studied privately with the composer Osvaldas Balakauskas. Later, he left for Oslo, where in 2002 he entered the Norwegian Academy of Music to study composition. The artist also at the same time developed his interest and expanded his experience in the visual arts, namely in the video arts and installations integrating a variety of media. The young composer’s successful and active career in the world of contemporary music was accompanied by his constant involvement in contemporary arts projects and participation in exhibitions. Living in Oslo, the artist has maintained a close connection with the Lithuanian contemporary music and visual arts scene. 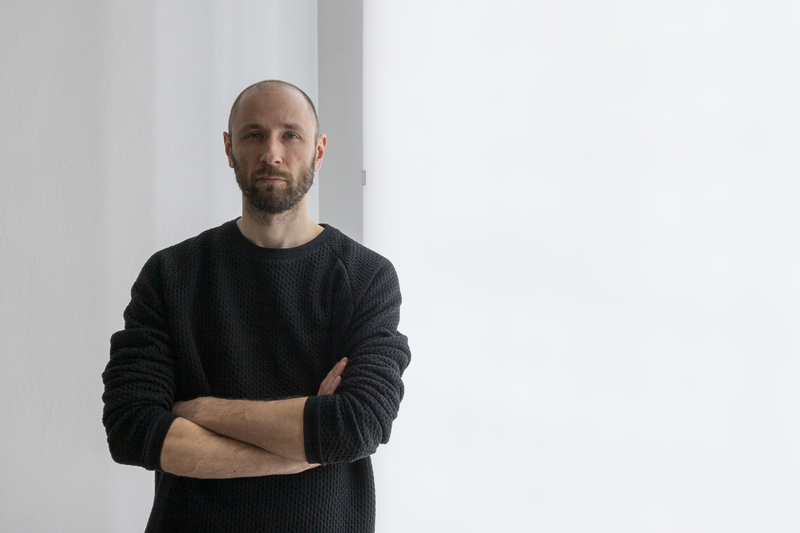 Ignas Krunglevičius has participated in the Norwegian contemporary music festivals Ultima, Borealis, and Vinterlyd, as well as in the Huddersfield Contemporary Music Festival (UK), Warsaw Autumn (Poland), and Gaida (Lithuania). 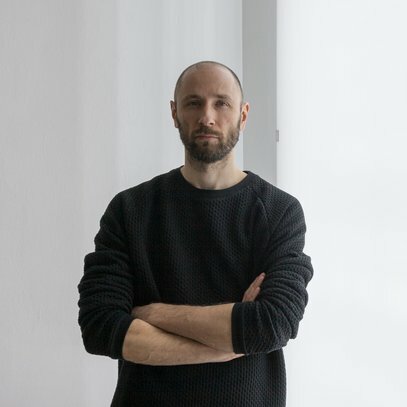 He has had several solo art shows: Attribution at the Oslo gallery Kunstforening, Transparent at the Oslo gallery Kunstnerforbundet, and Private Syntax Virus at the Vilnius gallery Vartai. He participated in the 12th Havana Biennial Between the Idea and Experience, the Venice Architecture Bienniale (North Pavilion), the 19th Sydney Biennial You Imagine What You Desire, the 7th Norwegian Sculpture Biennial, and in various group shows, which have taken place in different places in the world: from the Contemporary Arts Centre in Vilnius to the Art Gallery of South Australia in Adelaide and the Te Tuhi Centre for the Arts in Auckland. In 2010 Ignas Krunglevičius received the Norwegian DNB Bank’s Artist Award and the Nam June Paik Award for Young Artists, working in the field of electronic and digital arts, who are not afraid to take risks, to cross genre and cultural barriers, and to delve into interdisciplinary territory (the founder of the award is the Arts Foundation of North Rhine-Westphalia).